Many students and faculty members at the University of North Carolina Wilmington (UNCW) have had it with Professor Mike Adams, and there’s currently an online petition to get the professor—who, according to the petition, “has a history of spewing misogynistic, xenophobic, transphobic, homophobic, racist rhetoric" —fired from his job. 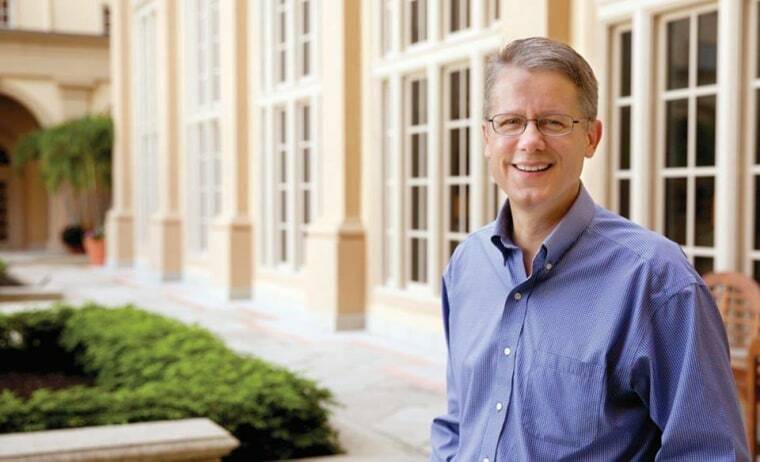 According to Kelly Williams, an alumna of UNCW and a Community Outreach Manager at the Wilmington YWCA, Adams has harassed “10 or more students over the past 15 years.” Some of those current and former students wrote lengthy anecdotes about their run-ins with Adams on the new Change.org petition that calls for the university to fire him. The petition, as of Wednesday afternoon, had more than 3,300 supporters. Mikaela Fleming is one of the students who shared her experience of being “harassed and ridiculed” by Professor Adams on the petition page. In the spring of 2015, Fleming wrote, she was among the UNCW students who protested an anti-abortion group that came to campus displaying graphic imagery comparing abortion to the Holocaust and to slavery. Adams, whose Facebook and Twitter pages can be viewed publicly, has a long history of posting controversial comments on social media—many of which are aimed at ethnic, religious and sexual minorities. Just got an email from a queer Muslim. If you choose a religion bent on executing you nothing you say could be intelligent. Deleted/blocked. I'll agree to limit my magazines to ten when the government limits Muslim immigration to ten. When someone kills a cop you know his last words were probably either "Allahu Akbar" or "Black Lives Matter." FB shut down my account for posting the following: "Gay couples do not deserve equal benefits because they do not equally benefit society." Fleming said she and other students met with the UNCW administration to complain about years of comments and articles they felt directly harassed students at the school. Nothing was done, according to Fleming, and she eventually graduated. Another two-year-old petition sarcastically called for an “I Hate Mike Adams Day” on campus. It was signed by Adams himself. The petition appeared shortly after Adams—represented by the powerhouse anti-LGBTQ law firm Alliance Defending Freedom—won a lawsuit that found UNCW violated the professor’s First Amendment rights by denying him a promotion (allegedly because of his right-wing postings online). Ever since Adams won that lawsuit, according to students and faculty with whom NBC OUT spoke, he has practically been untouchable. Nada Merghani was just 17 at the time Adams first posted about her, she said. A friend forwarded the Facebook post to the self-identified queer, Muslim, Sudanese refugee who was a freshman at the time. According to the Daily Beast, the April 2015 post, which Adams allegedly sent shortly after seeing Merghani at the abortion protest on campus, said “The only thing more disgusting than a jihadist Muslim is a pro-choice Muslim." NBC OUT has not been able to independent verify this post. Merghani, now 19, said Adams, 52, continued posting incendiary comments about her online without referring to her by name—though she said it was clear that she was the only student he could mean. The comments and posts continued over the next year and a half, she said. In that same Daily Wire post, which was published this past September, Adams used Merghani’s full name—and openly questioned whether she is a jihadist (the article was written after Merghani was confronted by the Secret Service regarding a Facebook post she had written prior to a Donald Trump rally on campus). He also wrote that her queer muslim identity was an “act designed to fit into as many victim categories as humanly possible,” and he called her "the most frightening type of student imaginable … a self-described 'queer Muslim social justice warrior.'" In response to an NBC OUT email questioning his Daily Wire article about Merghani, titled “A Queer Muslim Jihad?,” Adams clarified that he “did not call her a jihadi." When pressed again for explanation regarding his use of the term “jihad," he responded, “Let me explain it slowly. A Queer Muslim Jihad is a question. Note the question mark at the end. I answer the question of whether she really is a jihadist or poses a threat in the body of the article. I specifically explain that she is not a threat. Just someone seeking attention." Three weeks ago, Merghani posted a desperate call for help to her Tumblr page, along with screengrabs of comments saying things like “Shoot all Muslims and let Allah sort them out” on Adams’ latest article about her. The Tumblr post was reblogged tens of thousands of times. Merghani, like other students and faculty members targeted by Adams in the past, decided to leave the school. On Monday—the same day that an article about the situation appeared on the Daily Beast—she received an acceptance letter from UNC Charlotte. She’ll be leaving Wilmington on December 5. The university administration’s response to the Adams debacle seems, to Merghani and others, based on fear of being sued again rather than a commitment to protecting its students from discrimination. Merghani told NBC OUT that she had visited every office on campus seeking help after Adams began posting about her—and after his posts incited an influx of harassing and threatening messages from his supporters. "We are deeply disappointed by the use of hateful, hurtful language to degrade a fellow human being, even when that language is legally protected speech. However, we have fully investigated this matter and believe we have done all we are able to do to support the student involved, given that the comments were not made in a UNCW living, learning or working environment or otherwise affiliated with the faculty member’s role at UNCW. At this time, we are focusing on continue to listen to our students’ concerns about our campus climate and will be doing what we can to address their needs moving forward." The university did not respond directly to questions about whether Adams’ behavior violated federal anti-discrimination protections set forth by the U.S. Department of Education among other laws. But that was exactly the point raised by UNCW Associate Professor of Creative Writing Wendy Brenner, in an email to NBC OUT. Brenner noted that Adams has long attributed his incendiary commentary to “free speech.” While she’s never personally had Merghani as a student, she said that Adams’s behavior has created a stressful work and learning environment that affects everyone in the UNCW community. She also expressed frustration over ways in which policy hasn’t caught up with the social media age. Merghani said that despite an “unsupportive” administration, the students and faculty at her school have rallied around her. And even though she’s transferring to another UNC branch in another city, she’s prepared to continue the fight.